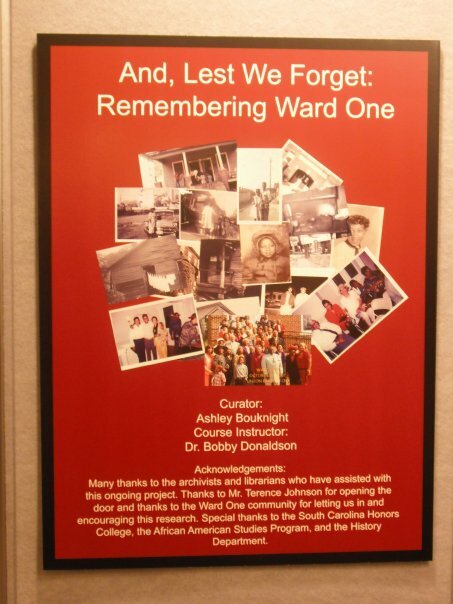 And Lest We Forget: Remembering Ward One – Ashley N. Bouknight, Ph.D. 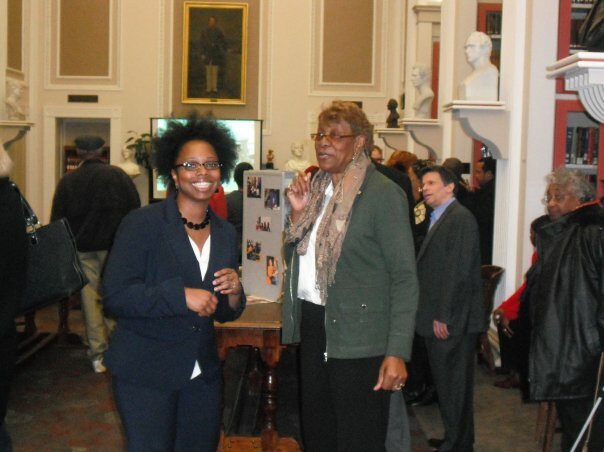 In 2010, I curated my first exhibition for the South Caroliniana Library, the University of South Carolina’s special collections library. The exhibit, And ‘Lest We Forget: Remembering Ward One, was based on the work of my thesis, “’Casualty of Progress’: The Ward One Community and Urban Renewal, Columbia, South Carolina, 1964-1974.” The exhibition chronicled an urban renewal project in Columbia, South Carolina that uprooted an African-American township in the 1960s. As the curator, I designed all text panels, prepared exhibit budget and managed the disbursement of funds, and supervised and trained student volunteers during the exhibit installation.